To learn more about the plants you see during your visit, fire up Go Botany on your phone or tablet. Because most of the sanctuaries have no numbered street address, GPS navigation is unreliable; please use the directions provided in the descriptions below. Visiting our sanctuaries involves certain risks present in natural areas, including hills, ponds or streams, uneven terrain, insects, and slippery areas. No staff members are present to assist in an emergency. You visit at your own risk, so please use caution. For the safety of all visitors and the protection of plant collections and other natural resources, we do not allow bicycles, off-road vehicles, and vehicles or motorized devices used for mobility assistance (with the exception of wheelchairs) in the sanctuaries. Prime time: April (before trees leaf out), for spring ephemeral wildflowers. Autumn brings hardwood foliage displays. This 40-acre tract along the Kennebec River is notable for its large stand of wild ginger (Asarum canadense), which is extremely rare in Maine, and for a variety of other lime-loving plants. Woodland wildflowers include bloodroot (Sanguinaria canadensis), trout-lily (Erythronium americanum), and a purple strain of red trillium (Trillium erectum). Directions: I-95 north to exit 44; north on I-295 back to I-95; north on I-95 to exit 113 (Route 3 Augusta/Belfast). Go east on Route 3 for 1.7 miles. At the intersection of 201/102, turn left heading north on Route 201. Travel for approximately 4.1 miles and turn left onto Cushnoc Road. The sanctuary is 1.5 miles down Cushnoc Road on the left. The sanctuary entrance sign is on the west side of the road. Park on shoulder of road. Highlights:	The gently sloping 30-acre site borders a red maple swamp and wet meadow. Prime time: Mid-July for great rosebay bloom. This undulating landscape contains numerous spring wildflower species, including northern spicebush (Lindera benzoin), yellow blue-bead lily (Clintonia borealis), and painted trillium (Trillium undulatum), but is most noteworthy for its large stand of great rosebay, a.k.a. great laurel (Rhododendron maximum), which is very rare in Maine. The site borders a red maple swamp and wet meadow, which offer brilliant fall color. The swamp is listed on the Maine State Register as a Critical Area. Directions: I-95 north to exit 19; take Route 109 north toward Sanford; proceed through the town of Sanford to the village of Springvale; turn west (left) onto Route 11A (Oak Street); from this point, the sanctuary entrance is about 2.5 miles on the left side of the road. Note: There is no sign on the roadside, and since the entrance may not be obvious, proceed slowly after passing the 2.25-mile mark. The entrance is 0.1 miles from a sign for Privet Drive, which is on the right. Prime time: Spring, for forest wildflowers. Waterfowl migrate to the area in spring, fall, and winter (see below). Hilly woods, a brook, and 1,256 feet of sandy shore and tidal marsh make up this 177-acre sanctuary, which borders lovely Merrymeeting Bay. More than 100 wildflower species—including pink lady's-slipper (Cypripedium acaule), yellow forest violet (Viola pubescens), and white baneberry (Actaea pachypoda)—grow on the site, which is located along a migratory flyway for water fowl. Various species arrive in April through mid-May and begin flying south in August and September. Wintering sea ducks flood the coast again in November and December. Other features of interest include a scenic cobbled cove, hemlock stands, and a swamp. Directions: North on Maine Turnpike to exit 44; then proceed northeast to I-95. Continue on I-95 to exit 28, the Route 1 turn-off for Brunswick and Bath. Continue on Route 1 through Bath and 0.4 miles after crossing the Kennebec River at Bath; turn left (north) on Maine Route 127 for 2.2 miles. Bear left on Maine Route 128 and proceed 4.5 miles. There is a small parking area on your left immediately north of a blue sign for Chops Crossing, with a path leading to the right coming in just behind the entrance sign. Highlights:	See a wood fern swamp and acres of boreal spruce-fir forest dotted with beaver ponds and wetlands. Prime time: April (or before trees leaf out), for spring ephemeral wildflowers. This 260-acre property hosts more than 40 varieties of ferns, including several rare species and unusual wood fern hybrids. An enriched slope and ledge host an abundance of maidenhair fern (Adiantum pedatum), bulblet fragile fern (Cystopteris bulbifera), and silvery false spleenwort (Deparia acrostichoides), as well as hepatica (Anemone spp. ), bloodroot (Sanguinaria canadensis), and spring-beauty (Claytonia caroliniana).You'll also find a wood fern swamp with multiple species of shinleaf (Pyrola ssp.) and showy lady's-slipper (Cypripedium reginae), and acres of boreal spruce-fir forest dotted with beaver ponds and unique wetlands. Directions: From Route 302 in New Hampshire travel to the junction of Routes 302 and 117, north of Lisbon, NH. Just north of this intersection turn west on Lyman Road. The sanctuary is five miles up Lyman Road from its intersection with route 302. The sanctuary entrance is to the rear of a small house on the right side of the road, directly across from Hubberton Road. (If you pass the Lyman Town Hall on the left or the Grange Hall on the right, you have gone one house too far.) The house is white with green trim. There is a screened-in porch on the front of the house: on the porch is a sign that says Sunnybank. Park in the driveway of this house. The trails begin to the left of the open garage. Lyman Road is a very twisty and windy road with many forks—stay on the main road for 5 miles. Highlights:	You’ll discover lime-loving species, woodland wildflowers, ferns, and riverbank flora. An unusually diverse assemblage of wildflower and fern species graces the steep banks of a wooded roadside in this 86-acre sanctuary. Please stay on the road at all times. Climbing on the steep bank will disturb this sensitive habitat and the intriguing plants that grow here. All plants, including lime-loving species, woodland wildflowers, and riverbank flora can be seen from the road. 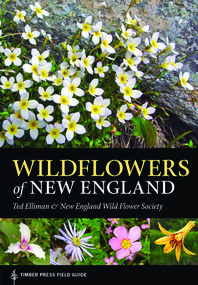 Woodland wildflowers bloom between late April and early June. The state of New Hampshire’s Critical Areas Program has designated the site as a “unique area,” and Sanctuaries of New Hampshire describes it as suitable for ecological research. Directions: I-93 north almost to Concord, NH, and take exit for I-89 north. Take I-89 to exit 20, turn left at the end of the ramp on to Route 12A, and head south for 3.5 miles. Bear right on River Road and go 4.1 miles to the Sanctuary parking area, a pull-off on the right hand side of the road. This 40-acre natural area contains an 8-acre rich fen filled with showy lady’s-slippers (Cypripedium reginae) and other wild orchids. Highlights:	A wheelchair-accessible boardwalk takes you close to the orchids while protecting their delicate habitat. Prime time:	Mid-to late June for showy lady’s-slippers. Fall brings larch trees into brilliant gold display. This sanctuary is owned and managed jointly with the Vermont Chapter of The Nature Conservancy. The 40-acre parcel completely surrounds and protects an 8-acre wetland that abounds in showy lady’s- slippers (Cypripedium reginae) and other wild orchids. A boardwalk allows easy viewing of the wetland plants while protecting their delicate habitat. To see the showy lady’s-slippers in bloom, plan to visit mid to late June. Directions: Eshqua Bog is located on Garvin Hill Road in Hartland, near the Woodstock town line. From I-89 in Vermont, take Exit 1, Route 4 west toward Woodstock and Rutland. Just before Route 4 enters Woodstock Village, after the Cumberland Farms store and another convenience store with a Mobil gas sign, Route 4 makes a 90-degree turn to the right, but do not go right. Instead, turn left up Hartland Hill Road (town Highway #73), and follow for almost 1.2 miles. Shortly after passing log house on right, bear right onto a dirt road (Garvin Hill Road). Follow this road for another 1.2 miles. The bog is on the right and is marked by a sign. Park in the turn-off just before the bog entrance. People Need Plants . . .
. . . and plants need people. Donate now to support our sanctuaries and their rare-plant communities. Learn more about them through our online courses. The perfect companion for your sanctuary rambles.